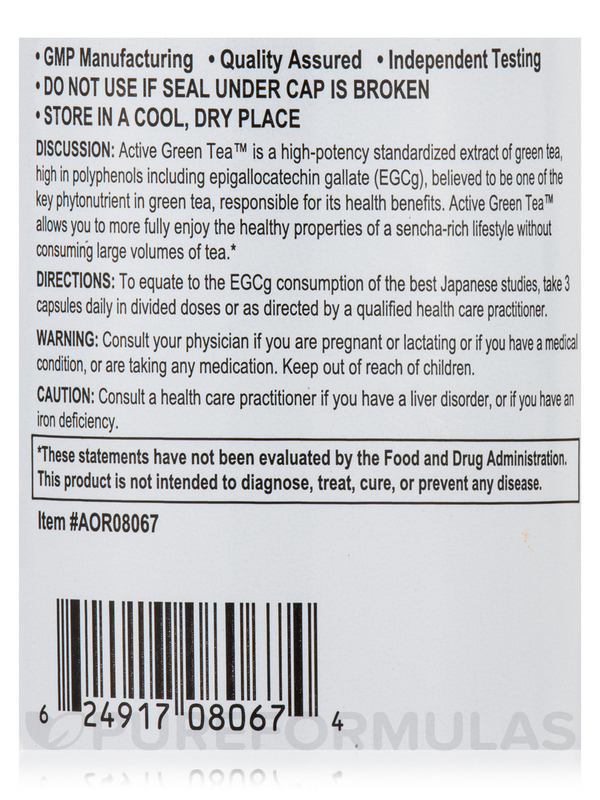 Green tea provides powerful antioxidants‚ promotes longevity‚ cardiovascular health‚ healthy weight management‚ healthy cellular growth differentiation‚ liver health‚ and more! 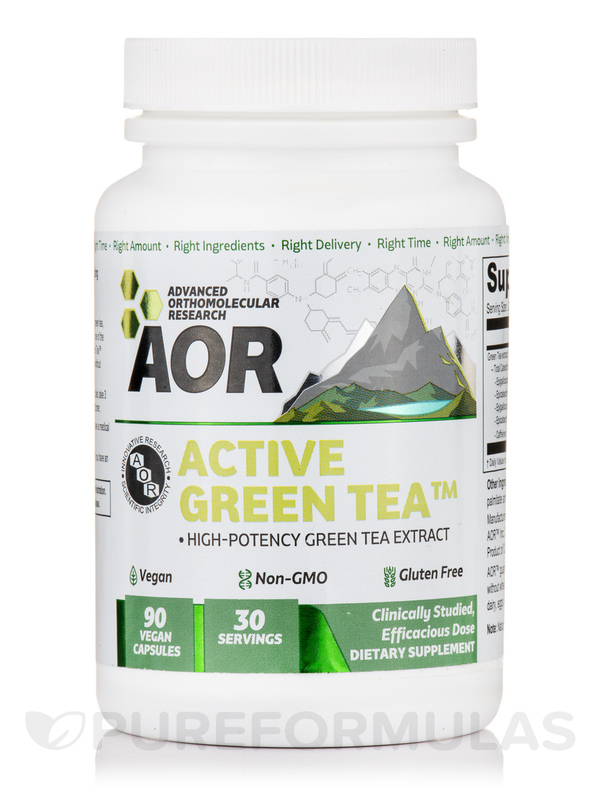 AOR™ Active Green Tea allows you to fully enjoy the benefits of a Sencha green tea-rich lifestyle without consuming large volumes of tea‚ and also provides a tiny amount of caffeine to optimize its benefits‚ while minimizing any negative effects. Other Ingredients: Capsule (hypromellose‚ glycerin and purified water)‚ ascorbyl palmitate and sodium stearyl fumarate. 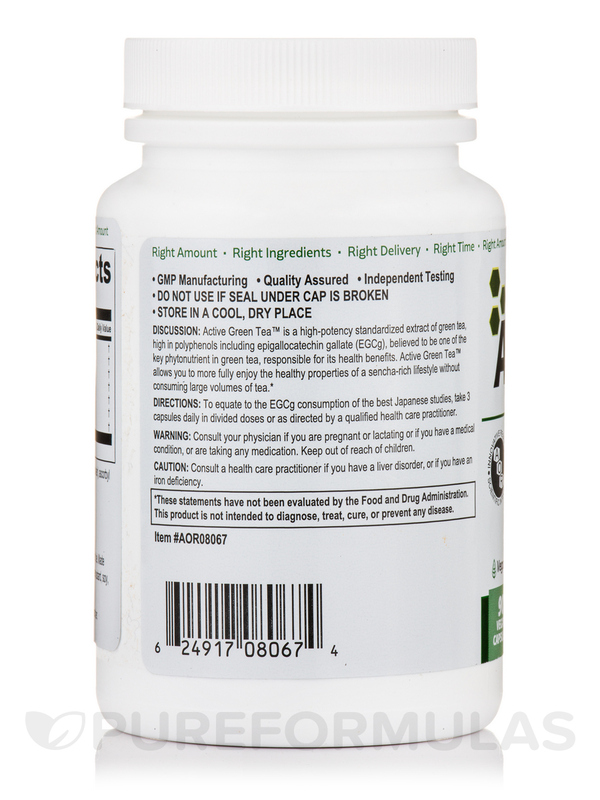 To equate the EgCG consumption of the best Japanese intakes‚ take 3 capsules daily‚ or as directed by a qualified healthcare practitioner. Consult a healthcare practitioner if you have a liver disorder‚ or if you have an iron deficiency. 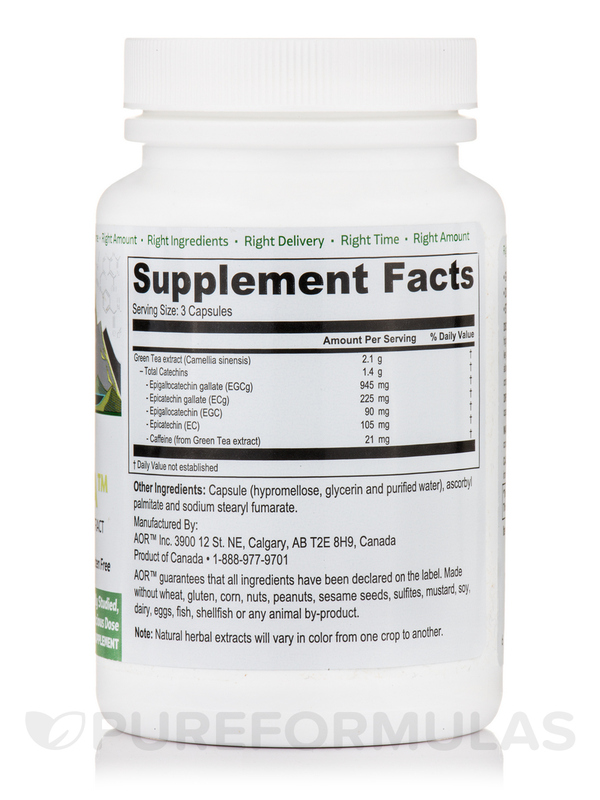 Notice: Natural herbal extracts will vary in color from one crop to another. I take around 900mg/day. 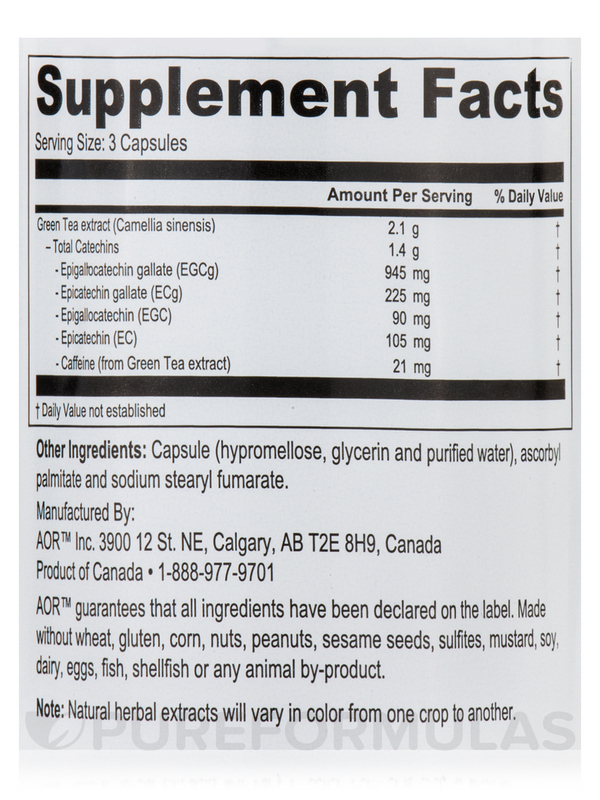 Active Green Tea by Advanced Orthomolecular Research makes that much easier and simpler over other alternatives since the larger single dose capsules reduce the number I have to take daily. They are high quality and are priced right. I am very happy to find this product. Thank you.